When we reviewed the original Acer Aspire V5-571 , this slim, budge laptop failed to impress us. Its slow Core i3 processor struggled with our benchmarks, we didn't like its all-in-one touchpad and its battery life wasn't great either. Now Acer has added a touchscreen to the V5's 15.6in screen, and and it's made a great difference, especially when you consider that it costs less than £600. This makes it a serious rival to the touchscreen Asus VivoBook S400, and it's as responsive and easy to use as Asus's 14in Ultrabook. 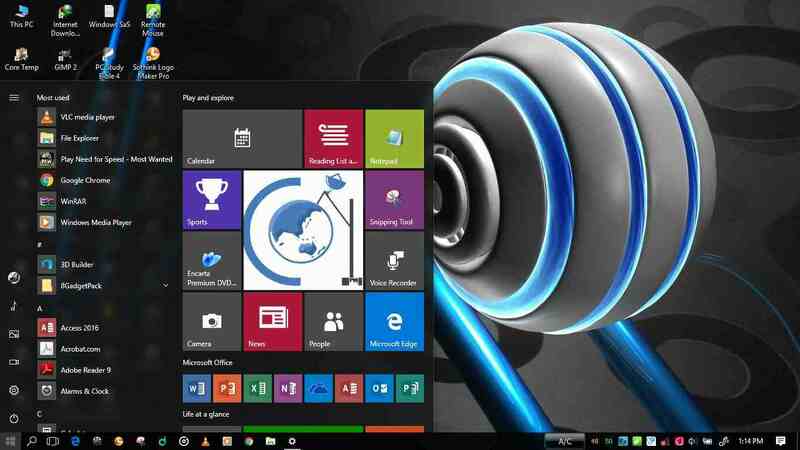 Multitouch gestures work perfectly, and we could easily make Windows 8 display the Charms bar on the side of the screen and switch between individual windows. In other respects, the display remains much the same. It still has 366x768 resolution and its glossy finish makes it very reflective, but its colours were punchy and its contrast levels were good. Blacks and whites were a little grey, with the bottom half of the screen appearing much lighter than the top, but its large amount of screen tilt should help you find the perfect viewing angle. 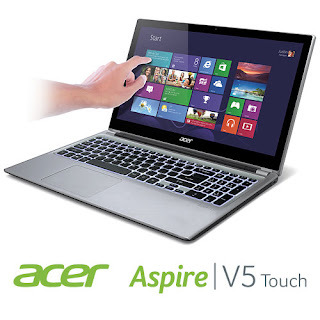 This version of the V5-571 has more than just a touchscreen, however, and Acer has added a more powerful Intel Core i5-3317U processor, making it much faster and better value than ever before. Paired with 6GB of RAM, it scored 43 overall in our multimedia benchmarks, which is a full 20 points ahead of the Core i3-based V5-571 we reviewed previously. This makes it much better suited to image and video editing, and it should run multiple programs without problems. Its gaming capabilities have also been slightly improved, as its processor comes with Intel's HD Graphics 4000 chipset instead of the slower HD Graphics 3000 chipset. You'll still have to lower the settings for most modern games, though, as it only just managed 16.7fps in our Dirt Showdown test on High quality settings at a 1,280x720 resolution. We had to reduce graphics settings to Low quality to get a more playable 28.7fps, but disabling the 4x anti-aliasing will give you an even better frame rate. We were also pleased to see an improved battery life, although the five hours and three minutes we managed in our light use tests are still a long way off the VivoBook S400's more impressive six and a half hour battery life.